We were thrilled to be able to announce that Bass Cat Boats will be featured in the launch of Fishing Sim World. This article will look at them in focus and explain how from humble beginnings, they are now one of the most popular performance bass boat manufacturers in the world. 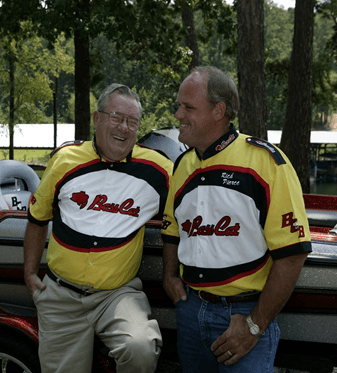 Ron Pierce, the founder of Bass Cat Boats, started off with a successful career in the plastics engineering industry before purchasing a drive-in restaurant with his wife, Jan, but his passion was always bass fishing. 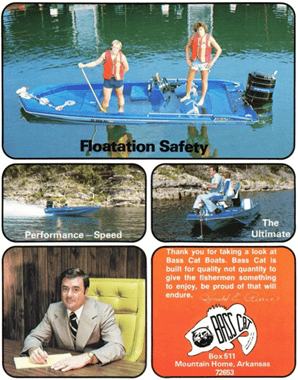 Bass Cat Boats was formed in 1971 in Ron and Jan’s two car garage. From there it moved to a small military style Quonset hut, which was quickly outgrown. The final move was in 1972 to the present location where the factory stands strong today. Ron’s son, Rick Pierce started at Bass Cat when he was 13-years old with a passion for bass fishing and building boats. Rick quickly earned a reputation for designing fast boats with incredible fiberglass finishes. 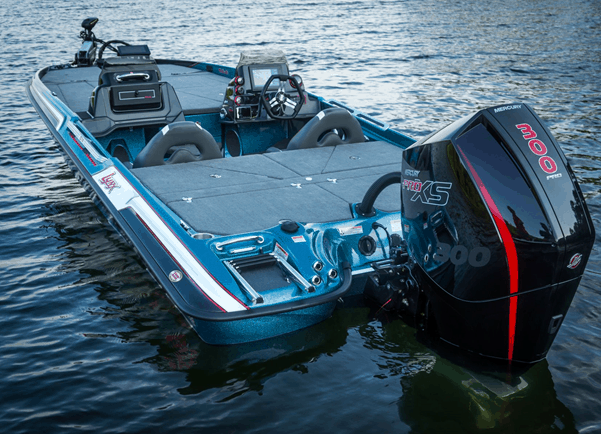 Bass Cat Boats has continued to grow from their strengths to become one of the last leading independent boat manufacturers in the Bass fishing industry. They lead the way in innovation with being the first to introduce wide body hulls to accommodate larger engines, as well as the 6X custom Italian steering wheel, recessed trolling pedals, and custom grab-post trailers. Today’s Bass Cat Boats, led by Rick Pierce, employ 148 staffers and offer 11 different models of boats across three different levels with the Lynx and Jaguar models being their premier offerings. Bass Cat has won multiple awards over the years, including 5 J.D. Power Customer Service awards for quality, service and performance. The Future and FEEL THE RUSH! The future looks bright with innovation being at the heart of Bass Cat Boats, you can be sure to find more Pierce-inspired features being incorporated into future boat models to keep them at the cutting edge of the industry! New technology and the rapid growth of competitive fishing at the high school and college levels have re-energized the industry. Young anglers now have more knowledge and better angling tools than ever before, and Bass Cat Boats is excited to be a part of this new wave and lead the way in performance bass boat design. FEEL THE RUSH is all about the experience. Roll casting a spinnerbait and not hitting the trolling motor head, clearing the deck as you pitch with ease. It extends to the bear and sound of the hull; the rush we all get as we tap the trim and let the air hang. It’s the sound of a “Cat” imagined as it comes around a bend. You hear it, but you can’t see it yet. A lasting memory from the first time you HEAR IT, SEE IT and FEEL IT!